Lt. Col. Yeshurun interrogated Monday for ordering fire on Hamas 'clinic' - he is one of 5 under microscope for fighting terror. A year since a ceasefire was signed with the Hamas terrorist organization, ending Operation Protective Edge in Gaza, senior IDF officer Lt. Col. Neria Yeshurun is being investigated for his fight against the terrorists - and he isn't the only senior IDF commander to receive such treatment. After a Hamas sniper firing from a medical clinic in the Shejaiya neighborhood of Gaza killed one of his officers, Capt. Dimitri Levitas, Yeshurun ordered that the clinic being used as a terror base be shelled. He referred to the shelling, on the communications radio, as "a salute" honoring Levitas. No less than five senior officers, including four lieutenant colonels, most of whom are serving as regiment commanders, as well as one colonel, are being investigated under warning for their actions in last summer's war. Army Radio reports that a total of around ten incidents are being investigated by the Investigative Military Police (Metzah), most of them involving decisions made by commanders to open fire during the fighting against terrorists embedded in civilian infrastructures. Yeshurun is expected to undergo a Metzah interrogation on Monday for ordering the shelling of the clinic that terrorists used as a base, confident that the IDF would restrain its response against a "civilian" target. Harsh criticism has been heard in recent days against the Metzah decision to investigate Yeshurun, with Israelis flocking to social media to defend the IDF commander and warn that such investigations will cause soldiers to be unable to fight the terrorists, out of fear that they would later be investigated. Deputy Defense Minister Eli Ben-Dahan (Jewish Home) said that "the fire is aimed at the wrong direction. 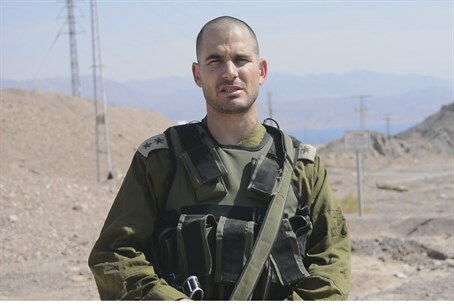 IDF soldiers acted heroically last summer against a cruel enemy that used a civilian population as a human shield, while strictly adhering to orders and avoiding harming those who were not involved, to the extent possible." "IDF soldiers need to know that there is someone who has their back when they're fighting and defending the state of Israel," he added. "The only ones that should be investigated for war crimes are Hamas members."